Oates Breheny Group’s origins date back to 1958 when local man Tom Conlon founded Conlon Life and Pensions. In 1993 the business was renamed Oates Conlon Life and Pensions after Pauric Oates purchased the business from Tom and opened his new offices at 4 JFK Parade, Sligo. 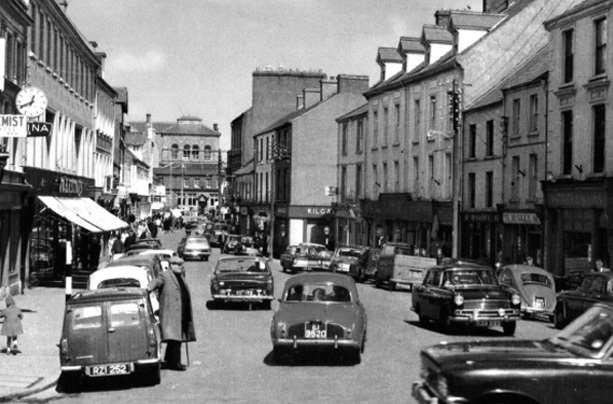 Pauric incorporated his own business with Conlon Life and Pensions to form Sligo’s leading Life and Pensions Brokerage. Over the next 4 years Pauric identified a need for further expansion to provide Mortgage Brokering and Auctioneering to complement his growing Life and Pensions business. In 1997 Tommy Breheny, well known in GAA circles in Sligo and with over 10 years’ experience with Irish Permanent, the then leading mortgage provider in Ireland, joined Pauric as a partner with responsibility to front the Auctioneering and Mortgage Broker division. The company was at this time renamed Oates Conlon Breheny. In 1998 Sinead Walsh joined the business as Rental Manager to the newly formed Property Management division and has developed the business into Sligo’s leading Property Management provider where she continues this role today as Associate Director. In 2000 we were proud to open our new, modern offices at Millbrook House, JFK Parade; In 2004 the business was further restructured and renamed Oates Breheny Group which incorporates sister companies Oates Breheny Property Services Ltd and Oates Breheny Financial Services Ltd.